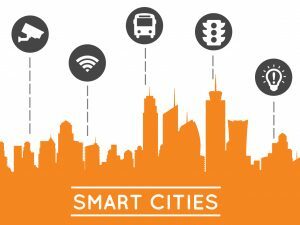 Is Your City a Smart City? So much hype is being cast into the term Smart City but there many different interpretations of the term. Many cities – big and small – are running to be being transitioned into the category. Though the term can be easily translated to mean many things – it seems to be an impossible goal to some. Being a Smart City could mean anything from implementing an issue reporting medium, to a creative way of promoting a park, or an innovation in how local shops do business. Being a Smart City is not an end goal to be reached – it is not the finish line. Being a Smart City is an achievable state of being receptive to change but more, so it is the capability of a city to move forward and make the changes before they are needed – in City Planning too often when citizens see that a change is needed it is almost always too late. The only way for a city to be effectively ‘smart’ is through data and analytics. With the rapid rise in civic tech, it is easy to find cosmetically stunning platforms that provide little value, or something that could provide great value but doesn’t impact the citizens enough to utilize. The struggle is in finding a platform that provides both cutting edge user interface and innovative tech that end-users find engaging and delivers big data to cities and their departments. Websites and mobile apps for cities are not science fiction anymore. A lot of cities have their own websites and more cities are launching their own mobile apps. Websites and mobile apps may serve different roles for different cities but they have at least one common purpose: to connect with their constituents. Too often though we see websites and mobile apps become a one-way form of communication – they become billboards on a screen with no way for their users to communicate back. We see the city history, the city council members, announcements, important news, and everything you need to know about a city, but they do not provide an avenue for their constituents to voice out their opinions, to report issues and be notified when an action has been made, to vote on a public topic, or to provide ideas and suggestions. When this happens, cities miss a big opportunity to engage their citizens and create an infinite well of the most valuable resource a city can have: real qualitative information direct from their constituents. Having access to real-time big data can have a profound effect on any city. Analytics gathered and presented through reporting and polling can help make a city more efficient and responsive. Big data can present different information from broad – which areas are reporting more crime – to specific – which hours of day is crime higher and what type of crime is being reported more often. Data in itself is just numbers until a city can effectively translate this to providing more effective planning and pre-emptive risk – reducing solutions. Big data can help transform a city into an operational Smart City. Security and Policing: Our real-time (non-emergency) crime reporting help cities determine patterns and rising crime trends, effectively deploying more knowledgeable police officers in certain areas and has helped cities see crime rates drop. Funding: Our analytics show which departments are getting bogged down with more reports coming in and cities are using the analytics to make informative appeals to reallocate city funds. Disaster Aversion: The ability to see which areas experience which issues during which times help cities design anticipatory solutions and better contingency planning. Traffic and Parking: Our apps provide the ability to request parking exemptions as well as report illegal parking, helping cities lessen clamping and towing instances as well as the information needed to create more parking allocations in specific areas. Resolution Setting: Being able to assign an estimated resolution date for each issue helps cities determine their efficiency and redundancy, it helps them make decisions when an increase / decrease in staffing is needed. These are only some of the examples of how our platform can help your city move forward with the future. We believe Big Data creates an opportunity for every city to become smarter. If you are interested in learning more about our MyCivic Platform – how it can provide you real-time data and ways on how to effectively use it to move your city forward, contact us at info@mycivicapps.com to schedule a quick but informative 20 minute demo. PreviousPrevious post:What IoT Means for CitiesNextNext post:Huntington Beach Goes Live!